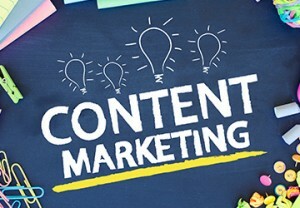 Content marketing today means you’ve got to commit to educational, relevant, compelling content production. You’ve got to make it a part of your overall inbound marketing strategy with an eye on doing two things: educating and building trust. We make the content marketing strategy process easy and effective for you. We’re also able to create content for you, if needed. Our team of creative writers, journalists, bloggers and social media experts provide all the support you need to create remarkable content that attracts and converts your prospects. We handle all inbound content including blogging, website copy, eBooks, news releases, videos, email content, social media and more. The Point of View White Paper – Every business should have a well-developed core story that’s documented in the form of a white paper or eBook. This content will dive deeply into what makes you different, what your secret sauce is, how you approach customer service, and why you do what you do. Seminars and Webinars – Today, people want information packaged in ways that will help them get what they want. Presentations, workshops, seminars and Webinars are tremendous ways to provide education with the added punch of engagement. Turning your point of view white paper into a 45-minute value-packed session is one of the most effective ways to generate, nurture and convert leads. FAQs – There are those that want to know one very specific thing about your company or approach and these learners get the most value out of the traditional frequently asked questions approach. There’s no denying the value of information packaged in this format. We go beyond the questions that routinely get asked and include those that should get asked but don’t. Particularly the ones that help position you favorably against your competition. Success stories – Building rich examples of actual clients succeeding through the use of your product or service offering is a tremendous way to help people learn from other individuals and business just like them. When prospects see themselves in a success story you can more easily transport them to a place where they can imagine getting those same results. This is another form of content that begs to be produced in video. Blog – Your blog is the absolute starting point for your inbound marketing content strategy because it makes content production, syndication and sharing so easy. Search engines love blog content as well and this is the place where you can organize a great deal of your editorial thinking. Content produced on a blog can easily be expanded and adapted to become content for articles, workshops and eBooks. Social Media – The first step in the social media content game is to claim all the free opportunities to create social media profiles on sites like LinkedIn and Facebook. Building rich profiles, and optimizing links, images and videos that point back to your main site is an important part of your strategic content marketing. Reviews – Ratings and reviews sites have become mainstream, user‐generated content hubs. Throw in the fact that Google, Yahoo and Bing all allow anyone to rate and review businesses and you’ve got an increasingly important category of content that you must participate in. You’ll never have total control over this category, but ignore it and it may be one of the most damaging to your brand. We will get proactive and monitor this channel aggressively. Testimonials – Customer testimonials are a powerful form of content. Every business today should seek customer content in multiple forms – written, audio and video. This content adds important trust building endorsements and makes for great brand building assets out there on Google and YouTube.